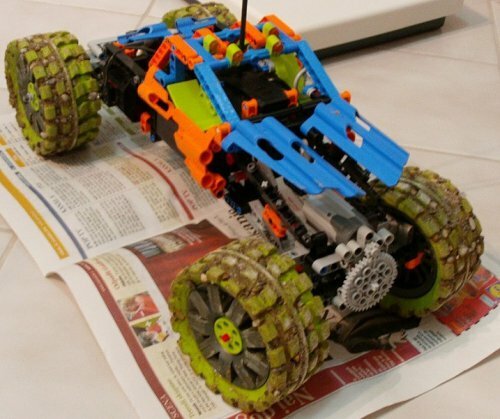 After building raptor I was left out with the green wheels and RC unit with motors. 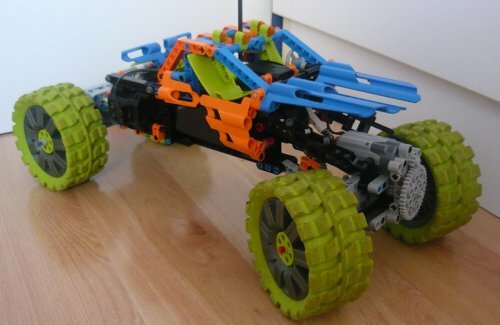 Combining these wheels, and Rc motors yielded my biggest, fastest and most powerfull 4x4 offroader up to date. 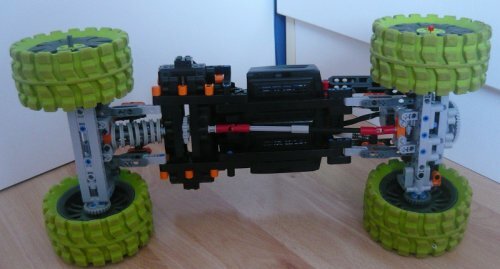 The suspesnion in front uses 4 link setup, while the rear uses 3 link setup. combined angle of the both exceeds 75 degrees, which allows this offroader to flex over rough terrain with ease. wheels and 3/4 pins to transfer the power. 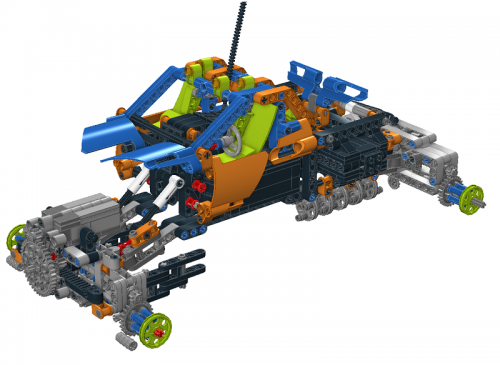 I also made instructions in LDD.